Newly released construction photographs show the progress of French architect Jean Nouvel’s first New York skyscraper: a supertall tower rising above the city’s Museum of Modern Art. 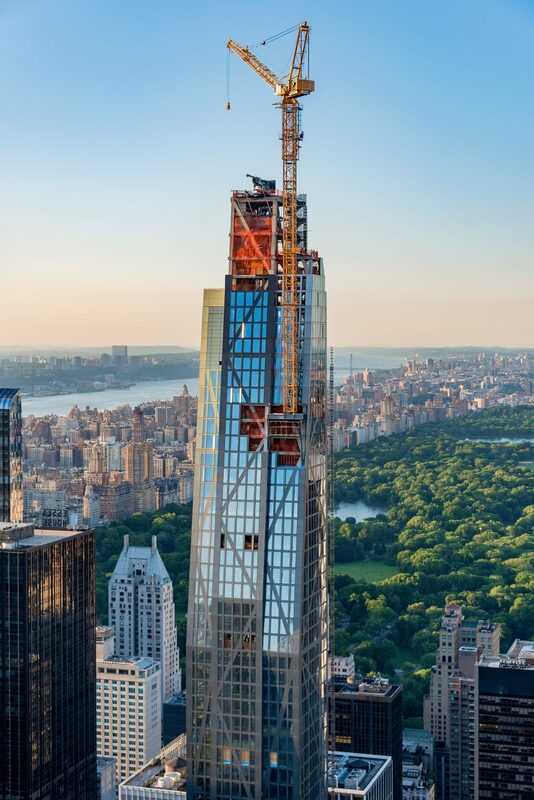 The images by photographer Giles Ashford capture the 53W53 tower as construction reaches the final 82nd floor and the building’s curtain wall takes shape – significant progress since it was captured last year. Comprising a criss-crossed concrete structure that Nouvel describes as a diagrid, the facades will form a tapered shape over the residential building’s crown when complete, reaching 1,050 feet (320 metres) tall at its peak. 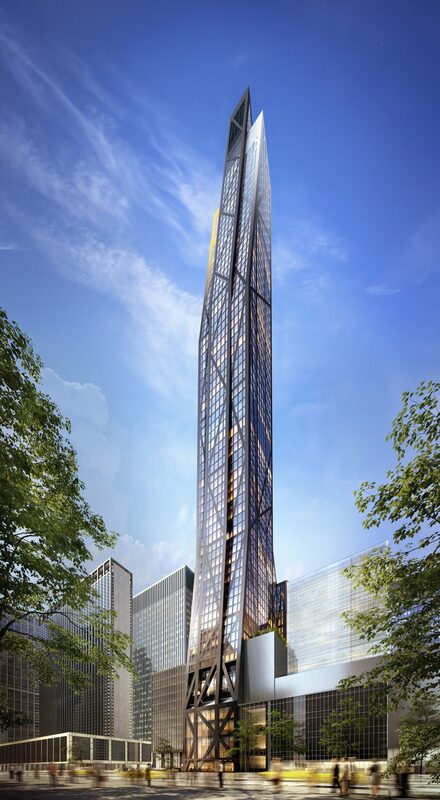 During a topping-out ceremony, which took place on the 68th floor on 7 June 2018, Nouvel described how the project’s narrowing top and exposed structure will give each home inside a different layout. The chunky concrete will also frame views of the surroundings, including Central Park and Philip Johnson’s AT&T building. “Architecture is art, and architecture is born from its situation, from its context,” Nouvel told journalists at the event. The Pritzker Prize-winning French architect’s tower at 53 West 53rd Street sits beside the existing MoMA building, and will incorporate three levels of gallery spaces at its base, as part of a major overhaul and expansion of the museum by New York firm Diller Scofidio + Renfro. The tower will house 145 high-end residences above, ranging from one- to five-bedroom condominiums, and including full-floor apartments and duplex penthouses. Interiors are designed by New York-based Thierry Despont. Future residents will receive MoMA membership as part of the amenity package. They will also have access to a double-height lounge and a private dining room on the 46th and 47th floors, a 17,000-square-foot (1,580-square-metre) Wellness Center – including a 65-foot (20-metre) swimming pool – a fitness centre, sauna and steam rooms, a golf simulator and a squash court. There will also be a library, a theatre, a children’s playroom, private storage and temperature-controlled wine vaults. 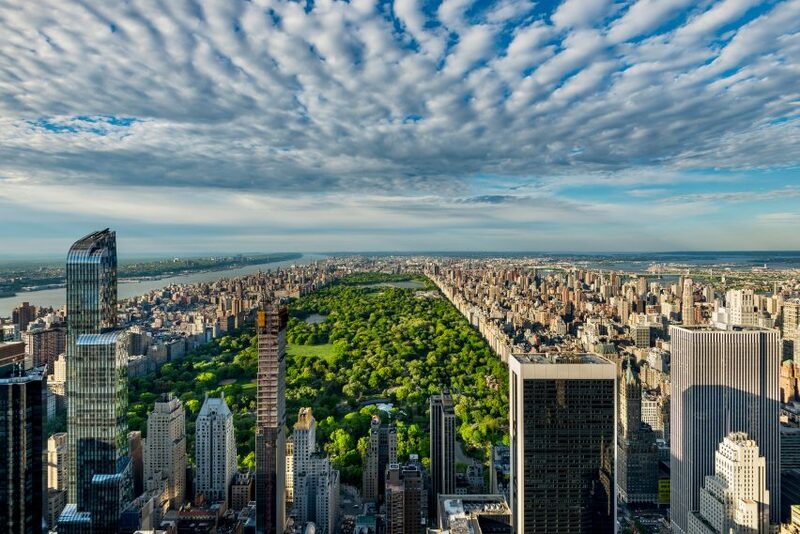 53W53 joins a number of residential towers rising or complete in Midtown Manhattan that are categorised as supertall – measuring between 980 and 2,000 feet (300 and 600 metres) – like Rafael Viñoly’s 432 Park Avenue and Christian de Portzamparc’s One57. Another is Adrian Smith + Gordon Gill Architecture’s Central Park Tower, which is slated to complete next year and is expected to become the world’s tallest residential skyscraper. Nouvel – who placed at number 60 in the 2017 Dezeen Hot List of the world’s most newsworthy forces in design – won the prestigious Pritzker Prize in 2008. His best-known buildings include the Institut du Monde Arabe and Philharmonie de Paris in the French capital, and the Torre Agbar in Barcelona. The architect’s recent works include the Louvre Abu Dhabi museum, which completed last year, and the National Museum of Qatar, which is almost finished. Photography is by Giles Ashford.